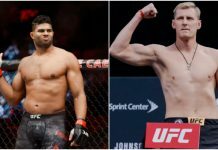 Earlier today, rumors surfaced of a potential MMA bout between former Strikeforce, Dream and K-1 champion Alistair Overeem, and boxing heavyweight champ Anthony Joshua. 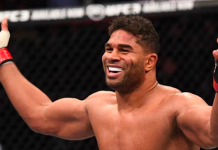 While these rumors were almost immediately stomped out by discerning members of the MMA community, Overeem was quick to comment on them, saying that while he’s not interested in boxing Anthony Joshua, he’d be happy to welcome him to the UFC if it came to that. Joshua, of course, is unlikely to make the jump to MMA while his boxing career is so successful. Even if he does, Overeem might have have to wait in line as UFC heavyweight champ Stipe Miocic has repeatedly called for a bout with the boxing star. 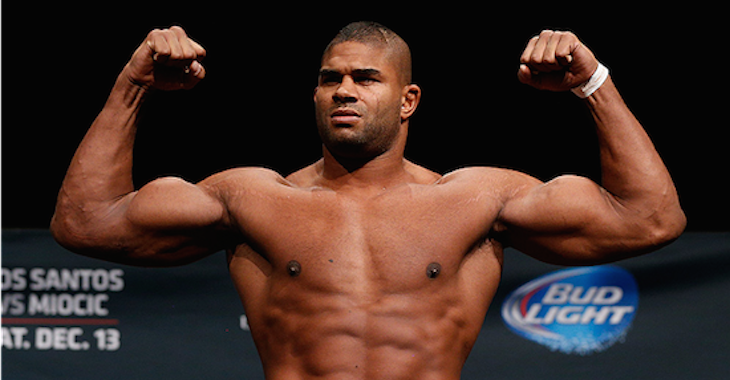 Did you think Anthony Joshua would have any chance against Alistair Overeem in the Octagon? 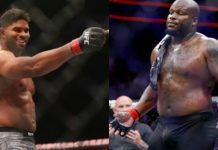 This article first appeared on BJPenn.com on 9/3/2017.